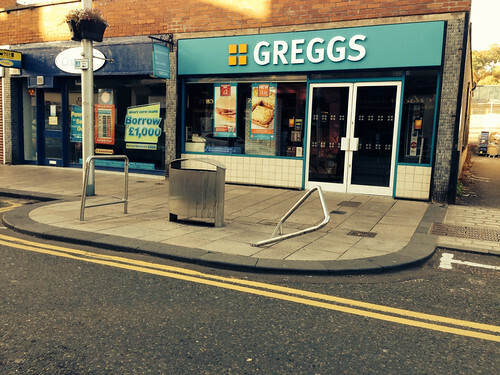 Outside Greggs on Brook Street, one of the bike racks fixed to the pavement is damaged and appears to have been deliberately vandalised. As you can see it is bent over and unusable. On closer inspection, one end of the stainless steel rail has been severed at ground level by what appears to have be repeated bending over and back until the metal snapped. Unfortunately, this is another example of deliberate and sickening property damage. This not only undermines the appearance of our main street but also diverts cash from vital Council services to pay for needless repairs and replacements. I have informed the Transportation Department and Roads' Maintenance Partnership to ask that the broken rack is removed immediately and subsequently replaced. 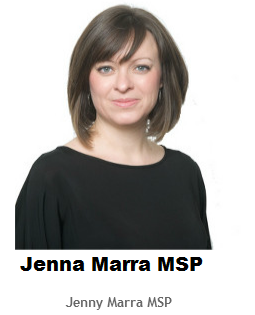 I have also informed Tayside Division, Police Scotland. As this happened in direct line of sight from the CCTV camera, I hope the perpetrators will be easily identified and apprehended. This deliberate damage of public property follows a spate of spray painting of unsightly graffiti tags in numerous locations in Barnhill including garage doors which happened on Thursday night and through to the small hours of Friday morning.